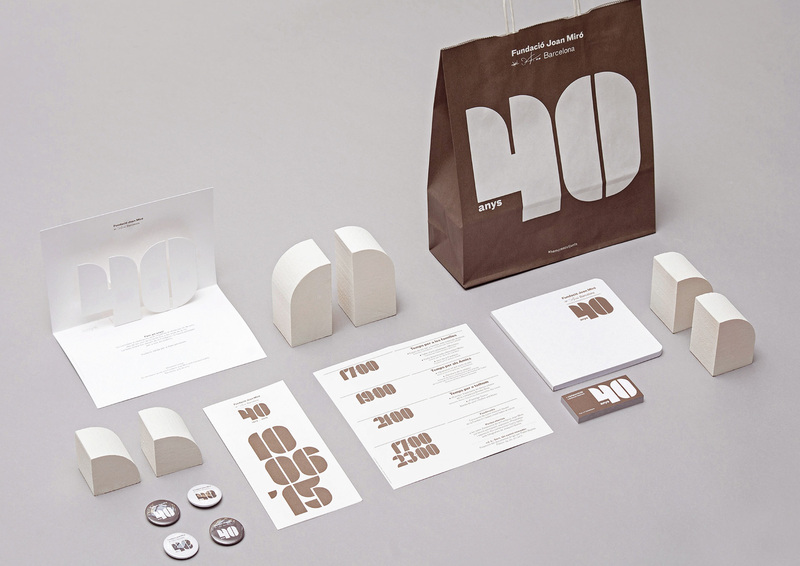 Identity and campaign for the 40th anniversary of Fundació Miró, applied to a variety of pieces, and which had to include the advertising of key exhibitions in the history of the centre. The use of Mironian elements had to be avoided. To generate a recognizable identity while avoiding mironian strojes the identity is related to the building of the Museum. Starting with the logo we produced a range of numbers then applied to key dates that work as a graphic language. A simple concept creates an identity all Barcelonians can understand. The different pieces are rich and diverse and show a versatile graphic language. Diverse production techniques ranging from printing to video, 3d lettering applied to space, paper sculpturing, tampography, etc.